Mitchell 1 has enhanced its ProDemand auto repair information software with the addition of 1Search™ Plus. This new interface streamlines the user experience with an easy-to-use graphical design and intuitive workflow to help auto repair technicians work more efficiently. The new interface takes repair information to a whole new level of intelligence with advanced search technology that scans the vast database of Mitchell 1 content and returns only the specific information the technician needs. 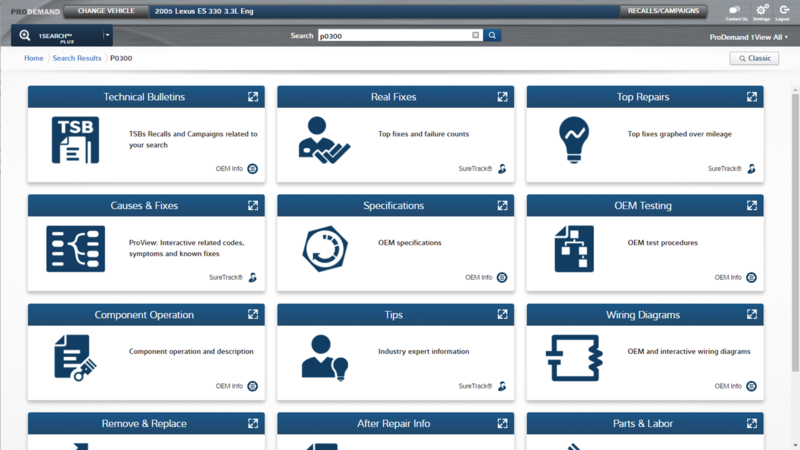 OEM and SureTrack® real-world information is more tightly integrated and returned together in a single location, with no switching between tabs or scrolling through long lists of articles. The graphical card format is intuitive and easy-to-navigate. Cards are returned in workflow format, following how technicians would naturally work on a job, making their process easier to complete. Results are more targeted, so technicians can spend less time scrolling as data is now categorized into more specific cards. OEM and real-world information are now classified at the same level, not separate “buckets,” streamlining navigation between ProDemand modules. Cards populate only if there is relevant information, so technicians only see information for the results they need. For more information about Mitchell 1, visit www.mitchell1.com, call (888) 724-6742, or locate an independent sales consultant at www.mitchellrep.com.